1. 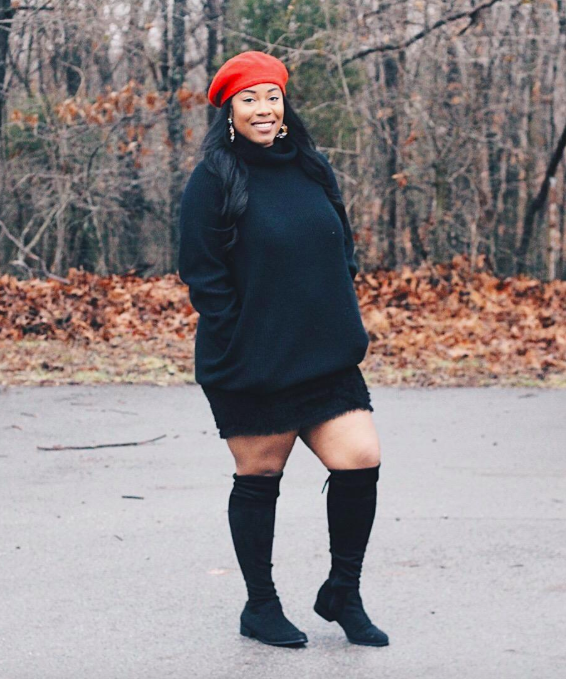 An oversize knit sweater dress so you can rely on a trendy one-and-done outfit. This + your usual boots = no room for error. Get it from Amazon for $33.99+ (available in sizes S-XL and five colors). 2. A spotted satin midi skirt for throwing under your favorite go-to sweater. This'll dress up everything and anything before you have time to overthink. Get it from Nasty Gal for $25 (originally $50; available in sizes 2-10). 3. A nylon backpack with a chic pom-pom, because this'll help you say goodbye to the worn-out backpack you've been using since your freshman year of college. Plus, the zipper is faces your back to protect you from theft! 4. A printed mini dress that'll call it a wrap on getting ready the minute you put it on. Congratulations, you're officially the best dressed in the office. Get it from & Other Stories for $28 (originally $69; available in sizes 0-10). 5. A ruffled, front-tie t-shirt so you can stick to your usual tee-and-jeans combo, but with an approachable update. Get it from Amazon for $9.95+ (available in sizes S-3XL and 27 colors and patterns). 6. A houndstooth mini skirt for pairing with really anything and looking très chic. You will not mess this up. It's impossible. I PROMISE. Promising review: "It’s definitely so cute. I love the material. It feels like it's high-quality and is perfect for work." —Christina M.
Get it from Forever 21 for $19.90 (available in sizes 0X-3X). 7. A pair of block-heeled over-the-knee boots with drawstring ties, because these'll make every single outfit you wear this season look effortlessly cool (even the sweatshirt you insist on wearing every other day). Get them from Amazon for $29.99+ (available in sizes 5-11 and 14 styles). 8. A ruffled button-down cardigan that'll easily give all your old tops a polished upgrade. Did you hear? ~Plain white tees~ are making a comeback. Get it from Walmart for $29.25 (originally $39; available in sizes 0X-3X). 9. A cashmere-like midi dress so you can look like a professional even if you've been wearing the same pants to work since last Tuesday. Get it from Amazon for $29.99+ (available in sizes XS-XL and 23 colors and styles, in short and long sleeves). 10. A satin blazer for adding a sophisticated twist to your favorite black jeans. Want to get REALLY emotional? You can wear this with leggings. I'll pass the tissues. 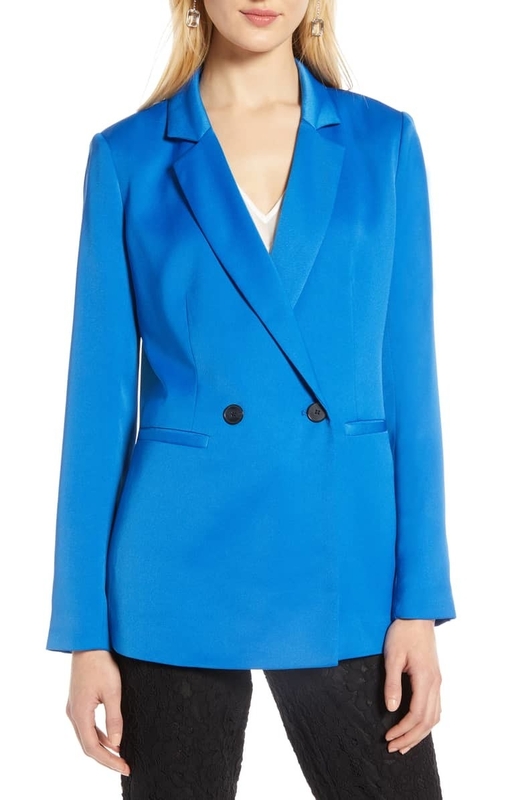 Get it from Nordstrom for $49.49 (originally $99; available in sizes 1X-3X and three colors; sizes XXS–XL available in a separate listing). 11. A backless lace-trim bodysuit, because this'll answer your weekly "what the heck do I wear?!" pleas every Saturday night. No more backing out of plans because you don't like your clothes. Get it from Amazon for $12.99+ (available in sizes XS-L and eight styles). 12. A pair of embellished leather gloves that'll be the *star* of your ensembles, thanks to their ability to make all your outerwear look stylish. They're 100% leather and lined with 100% merino wool! Get them from Coach for $82.50 (originally $165; available in sizes 6.5-8 and two colors). 13. A striped cardigan sweater so you can chicly accessorize your usual leggings without straying too far from your ~comfort~ zone. Get it from Amazon for $24.97+ (available in sizes S-XL and four colors). 14. A pair of high-waisted faux leather shorts with a ruffled, belted waist for a simple yet fashion-forward way to dress up your plain sweaters. Get them from Boohoo for $20 (originally $40; available in sizes 12-20 and two colors). 15. A leopard print belt, because this'll meet you in the *middle* when it comes to subtly giving your denim a fashionable twist. Get it from Amazon for $18.86+ (available in sizes XS-XL). 16. A bow-front velvet mini dress that'll replace your overused LBD and give your evening wardrobe a breath of fresh air. The best part? This doesn't need any accessories. Get it from Asos for $18.50 (originally $37; available in sizes 0-12). 17. A pair of lightweight platform sneakers so you can *run away* from wearing your old gym shoes with regular outfits. Comfort AND style? All hail athleisure. Get them from Amazon for $31.99 (available in sizes 5-9 and four colors). See what won best casual everyday sneakers on BuzzFeed Reviews. 18. An off-the-shoulder sweatshirt for answering your prayers by letting you wear sweats to work while still getting full fashion credit. Miracles do exist. 19. A pleated polka dot skirt with ~pockets~, because you can throw this over literally any top and still look OOTD-ready. Should you buy this in every color to rotate every week? Obviously. Get it from Amazon for $17.97 (available in sizes S-XL and seven colors). 20. A pair of high-waisted printed leggings that'll prove living in comfort will always be *in vogue*. Will you wear these for the next 365 days in a row? Absolutely. Get them from Aerie for $29.97 (originally $49.95; available in sizes XXS-XXL and four colors). See what won best workout leggings on BuzzFeed Reviews. 21. A loose-fitting sweater so you can remain your relentlessly comfortable self while still managing to look *extra* presentable for the day. Get it from Amazon for $26.99+ (available in sizes S-XL and two colors). 22. A floral maxi dress with delicate tie-sleeves for a) successfully making long dresses a winter staple and b) relying on a one-step outfit to look effortlessly put-together. Get it from Madewell for $99.99 (originally $158; available in sizes 00-16). 23. 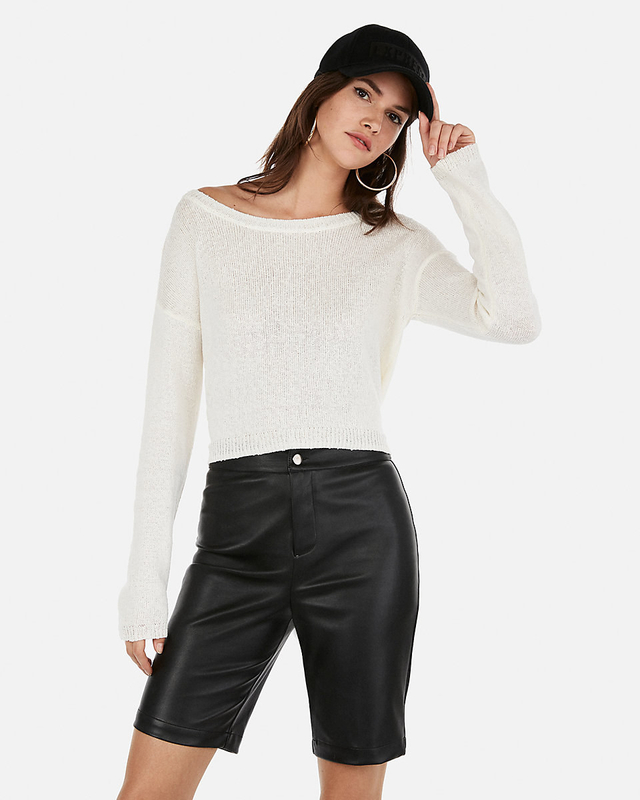 A pair of faux leather leggings, because these'll help you ~kick up~ your wardrobe with some edge starting the minute you buy these — heck, do it one leg at a time. Get them from Amazon for $19.99+ (available in sizes XS-4X and four styles). 24. A Calvin Klein velvet bralette that'll give all of your sheer shirts an elegant touch. AND no underwire? We are truly blessed. Get it from Urban Outfitters for $38 (available in sizes XS-XL and three colors). 25. 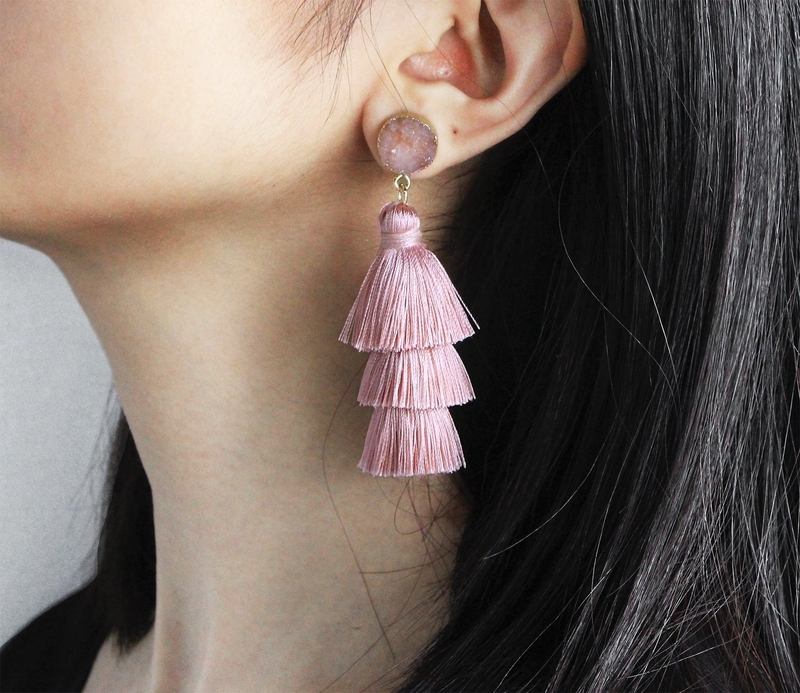 A pair of tassel earrings so you can polish your ensembles without creating a hassle. No need to get overwhelmed — these'll go with everything. Get them from Amazon for $14.99 (available in 27 colors). 26. An embellished cut-out tank for safely mixing it up if you're one to resort to all-black outfits whenever you go out. 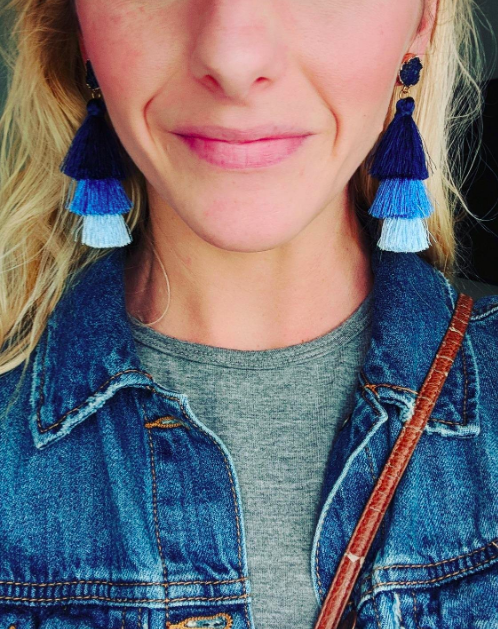 See how easy it is to wear some color? 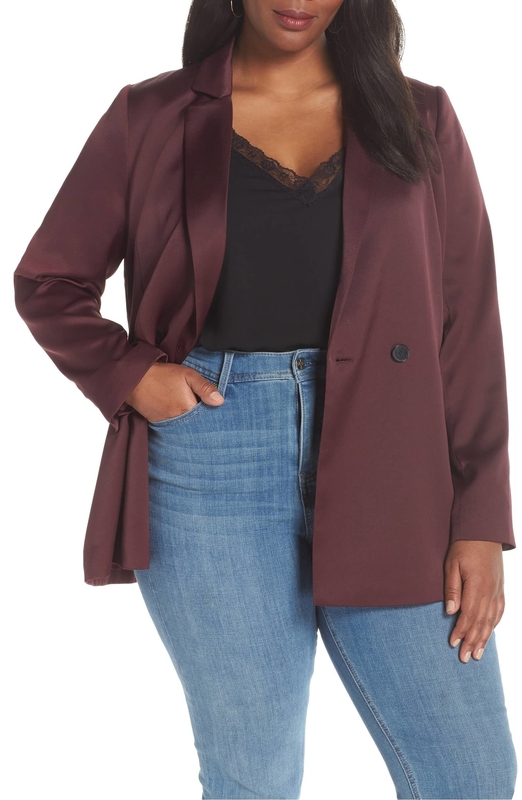 Get it from Torrid for $20.23 (originally $44.90; available in sizes M-6X). 27. A wide-leg jumpsuit with POCKETS, because this'll help you get ready in a mere moment, aka you can toss these over your go-to warm tops. Who knew something other than pajamas could be so satisfying? Get it from Amazon for $22.99+ (available in sizes S-3XL and seven colors). 28. A pair of crushed velvet strappy flats that'll elevate everything you wear without the need for *sole*-crushing heels. Get them from Free People for $49.95 (originally $105; available in sizes 5-11 and two colors). 29. A knit wrap midi dress so you can leave your beloved sweats behind for a day and still feel nice and cozy. Did this take a lot of effort? Not at all, my friend. Get it from Amazon for $27.99+ (available in sizes S-XXL and 10 colors). 30. A graphic T-shirt for the epitome of sneakily wearing your usual lazy outfits — except now you'll discover a pattern of compliments. 31. A belted checked cape coat, because this'll ditch your overused parka and give your work clothes the dressy treatment they DESERVE. Get it from River Island for $140 (available in sizes 2-12). 32. A velvet embroidered dress that'll help your wardrobe flourish — even when thrown over leggings. Believe in the power of this dress. 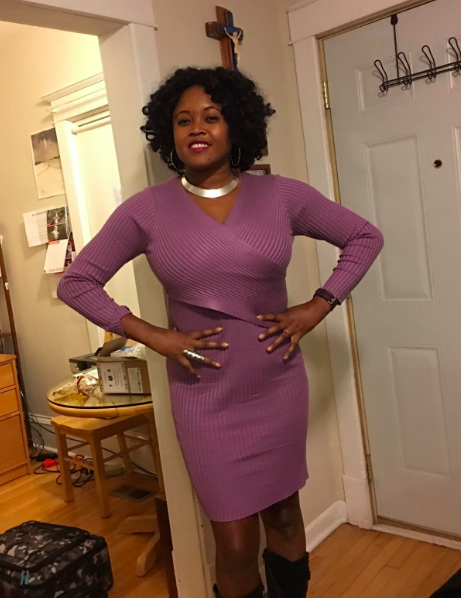 Promising review: "This is the best dress I have ever bought off of Amazon. I am so in love with this that I will order one in every single color — it is that nice of a dress with vibrant colors and pretty embroidery." 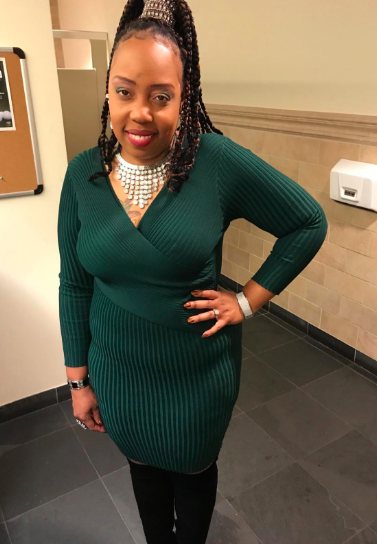 —Sharon C.
Get it from Amazon for $15.99+ (available in sizes XS-XL and eight styles). 33. 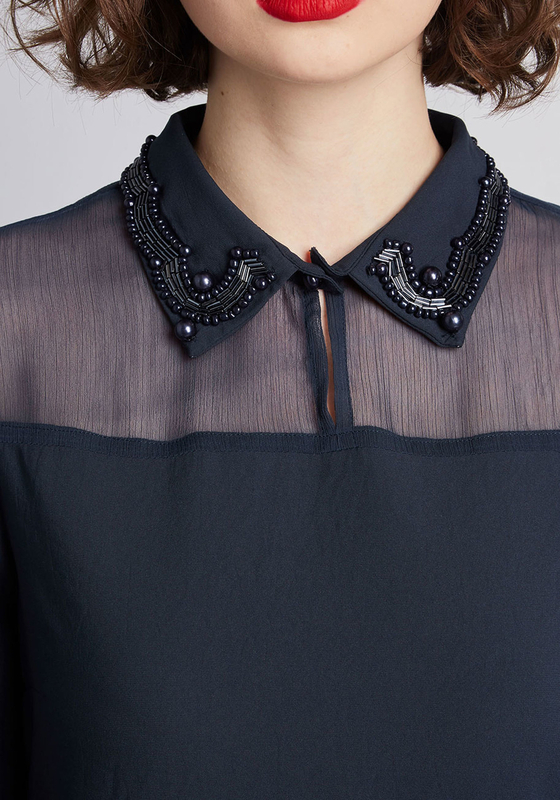 A chiffon blouse with a beaded collar so you can stylishly top off your everyday bottoms before you're up to your ~neck~ in clothes thrown on the floor. This'll nix mornings of overthinking. Get it from ModCloth for $44.99 (originally $55; available in sizes XXS-4X). 34. A pair of faded bootcut jeans for pairing with anything just as easily as your usual black denim, but this'll give your tops a little more *flair*. 35. An open-back sweater, because this is just as approachable as your usual toppers. Except now you'll receive double the compliments — this is an exact science. Get it from Express for $59.90 (available in sizes XXS-XL). 36. 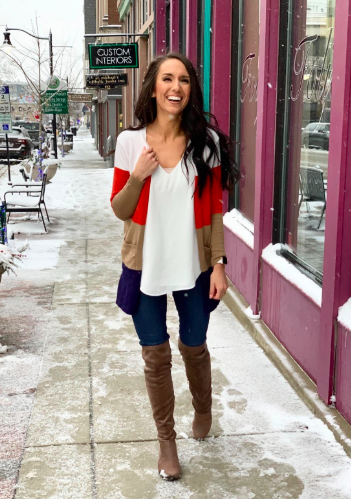 A belted cardigan that'll have you looking Insta-worthy in a ~cinch~. Are you wearing the same exact blouse you wear every week underneath? That's our secret. Get it from Amazon for $9.99+ (available in sizes S-3XL and 10 colors). 37. 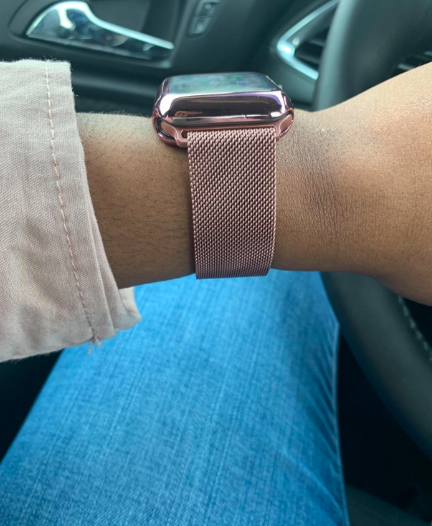 A mesh watch band so you can continue to accessorize with your Apple Watch, but now you'll be one *step* ahead of the trends. 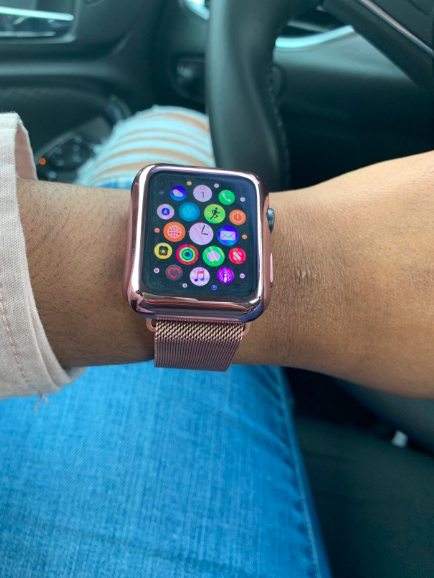 It has an adjustable metal clasp and a screen protector to prevent your Apple Watch surface from scratching. It fits well with the Apple Watch Series 1, 2, 3, and 4, as well as the Apple Nike+ watch. Get it from Amazon for $10.98+ (available in sizes 38mm-44mm and eight colors). 38. A button-down shift for dressing up literally any bottoms you'd like. Leggings? Check. Jeans? Double check. Pajama pants? Sure! Get it from Missguided for $37 (available in sizes 12-20). — 33 Heels That'll Make You Scream "OMG, NEED!"